← What Do I do with my Hands while I’m Presenting? Mike is the new leader of an international virtual team and in his first meeting with team members, he discovered that he had a team member who appeared to resist every suggestion made by other members of the team: this person either flat-out rejected the ideas; pointed out the potential problems as being unsolvable; presented a list of reasons why they would not work and generally showed how smart he was (in his opinion). Mike hoped that this would not be an on-going situation. However, in a video conference a month later Mike discovered that the team member continued behaving in the same way. Afterwards, Mike spoke to some of the other team members and the team member’s ex-boss & discovered that this was “normal” behaviour for this person. Mike decided that things had to change so started researching ways to deal with this situation. This is what he discovered: He had a Polarity Responder in his team! What is a “Polarity Responder” (P.R.) or “Mismatcher”? 1. A P.R. is someone who tends to disagrees with everything that you, or other people, say. 2. They often do exactly the opposite of what you want or ask them to do. 3. In meetings they always present reasons for NOT doing something instead of looking for reasons to do it! 4. Frequently, their first response will be to produce an exception to the rule. 5. Often they see their response as an opportunity to show how smart they are. 6. They tend to be analytical and very intelligent. 7. They can destroy a great idea with a single syllable. As I am sure you all know, subconsciously, the word “BUT” invalidates everything that has been said before it. It should only be used when you CONSCIOUSLY decide that you want to use this form to achieve a specific communicative objective. 1. Use the “Polarity Twist” – put everything you say in the negative (+ BUT). When phrases similar to those indicated above are used, a common response to the “Polarity Twist” is a positive reaction to the negative: psychologically you are asking them to respond to your negative which, in their mind, requires an opposite response. The opposite response to a negative is, obviously, a positive! Example: “ Well… no. I do actually agree with you. An example close to home is that of putting young children to bed. Many resist when older siblings are allowed to go to bed later. A direct order often results in an argument. Use the polarity twist and avoid the problems! The reason this technique works is that is based on how the human brain processes negative orders. When our brains hear a negative, in order to understand it, it has to process the positive first. Do NOT think of a pink Elephant! I told you NOT to think about a pink elephant so why did you disobey my instruction? You couldn’t help yourself, could you? 3. Identify the negative points before they do. 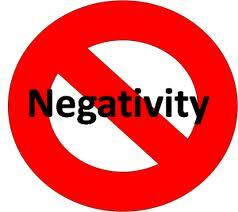 – The fact that you have identified the negative points will often lead the P.R. to consider positive ways to resolve these problems. 4. Exageration of negative effects. – Take the bad or negative points that they bring up and exaggerate them to an extreme level. – Tell the P.R. that the situation is hopeless and that not even they would be capable of finding effective solutions to solve the problem. Then stand back and watch them tell you how it could be done! While Polarity responders can appear to be a nuisance in meetings, presentation, team activities, etc., they are normally very intelligent and, when redirected properly, their skills and ability can greatly enhance the results obtained. When you apply the techniques indicated above you are clearly demonstrating your communication and leadership skills to your companions which can positively influence your future career prospects! (c) Ian Brownlee, Brownlee & Associates, S.L., Madrid Spain. June, 2013. This entry was posted in Advanced Communication, General Communication, Leadership, Meetings & Teleconferences, Negotiation, Neuro Linguistic Programming, Training & Development and tagged influence, Meetings, Mismatcher, Negative, No, polarity, positive, responder, teams, techniques, virtual. Bookmark the permalink. 2 Responses to Dealing with a Polarity Responder. What can a P.R. do when after reading this? … find a mistake 🙂 You use “N.R” twice. Is this a typo or by intention?